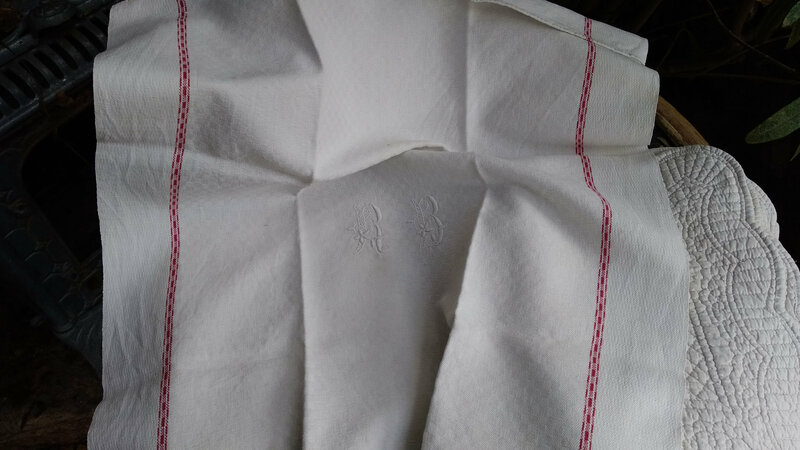 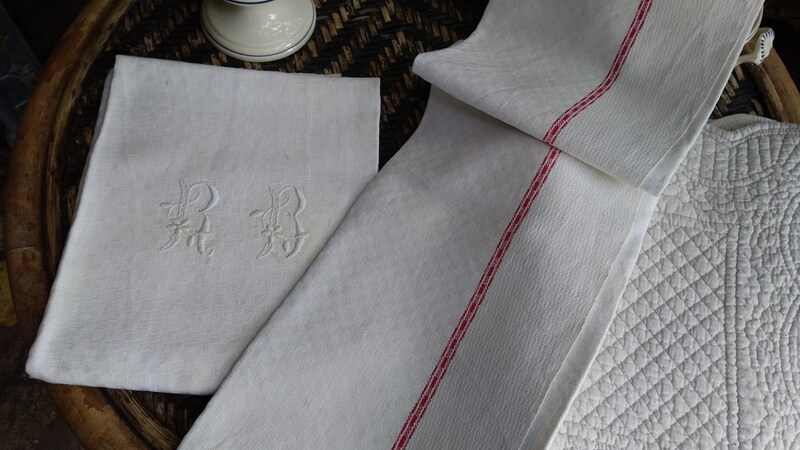 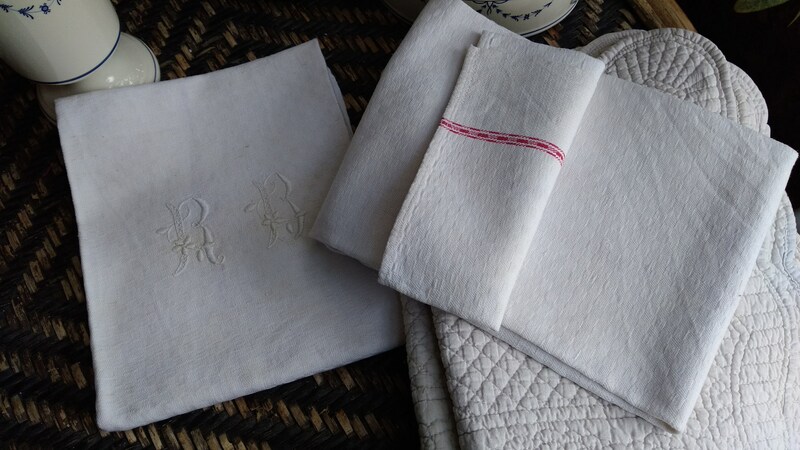 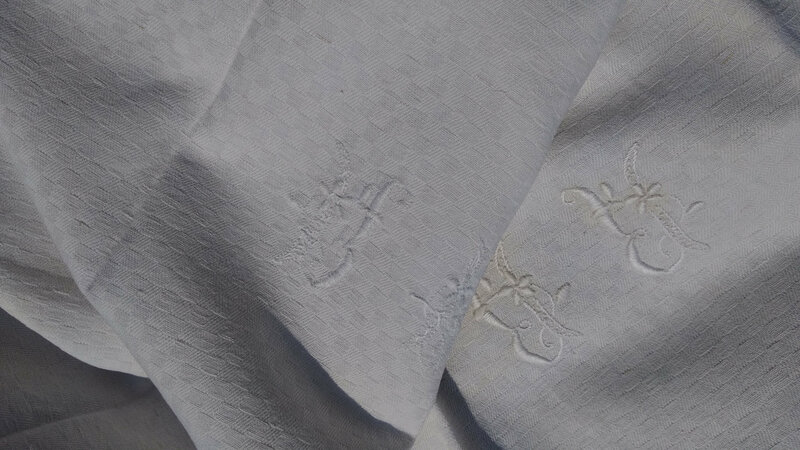 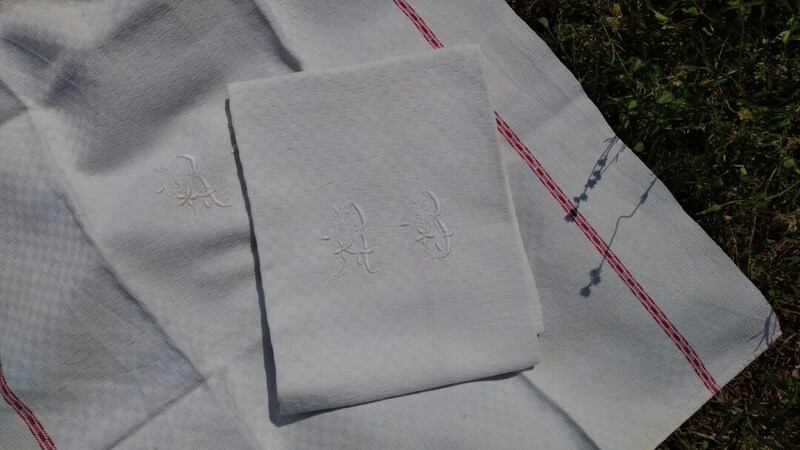 Pair of large French damask metis linen dish cloth with monogram hand embroidered and a red line. 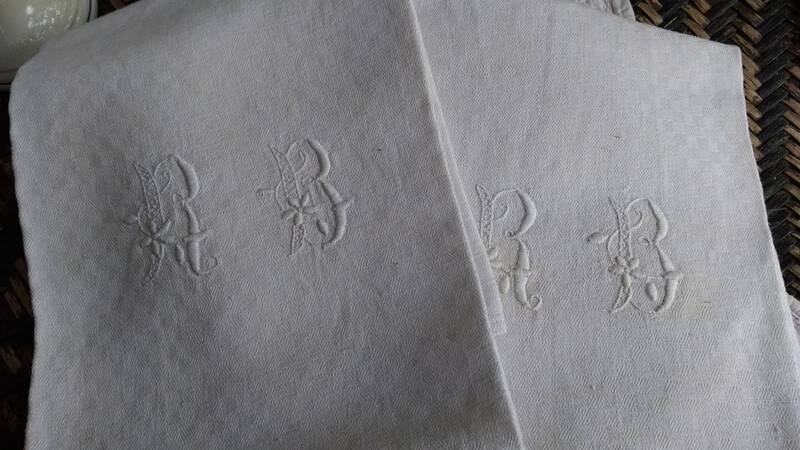 Antique French kitchen towel . 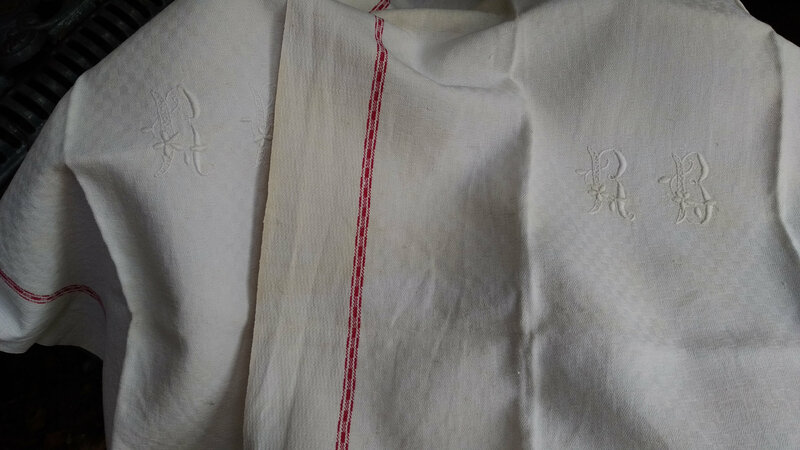 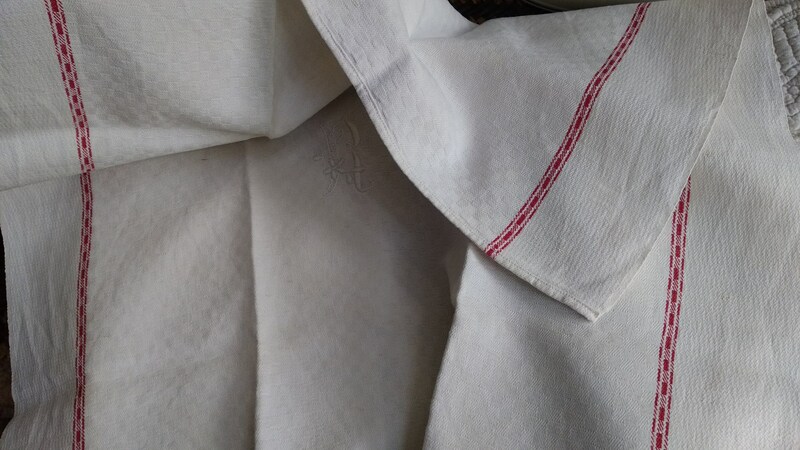 Off White damask metis linen made with a red line and monogram hand embroidered . 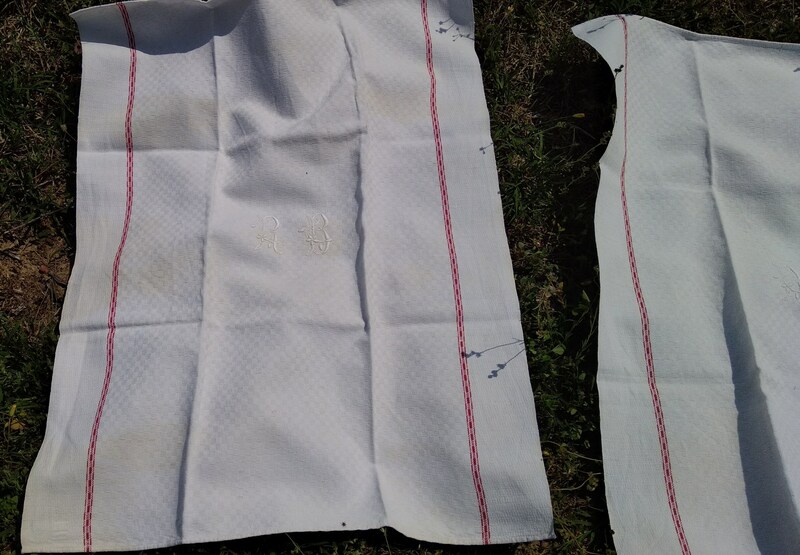 Good vintage condition, one has time stains. 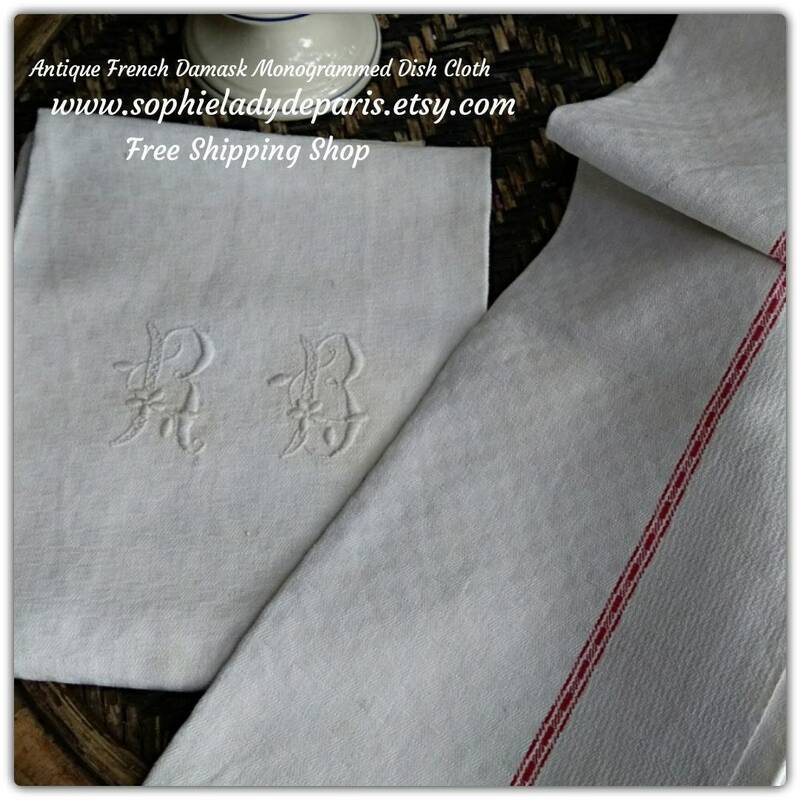 Gorgeous antique French country side kitchen towel !